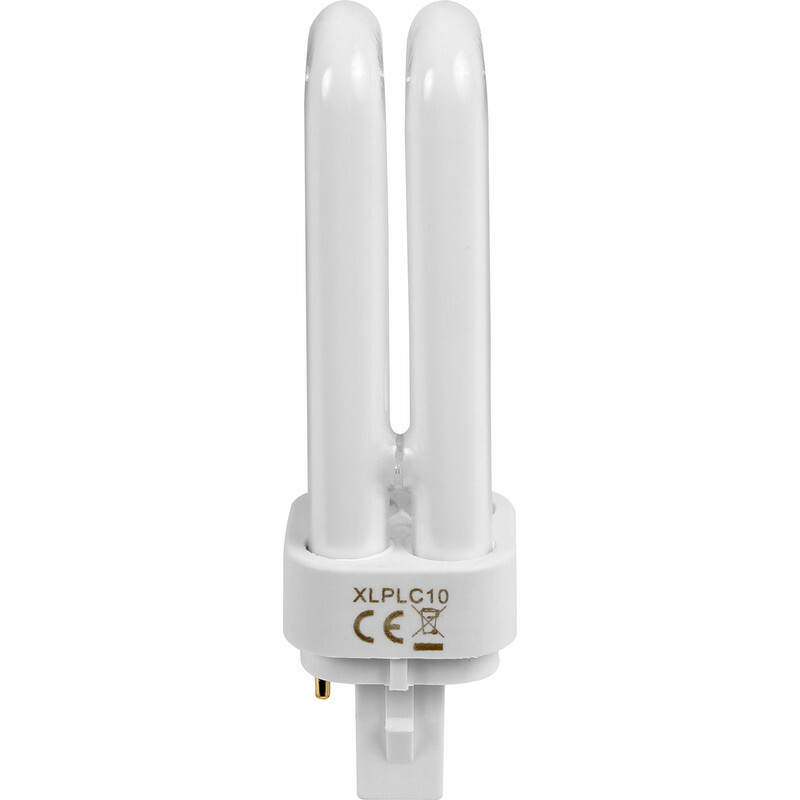 Energy Saving PLC Lamp 13W 2 Pin G24d-1 is rated 4.3 out of 5 by 10. Rated 4 out of 5 by Blitzy from Great Price Can’t go wrong at this price especially as the 10w versions aren’t that easy to get hold of. Box says cool white but they are more of a warm white, might be mislabelling on the box so check first. Rated 1 out of 5 by LBrewe from 4 pin Lightbulbs I purchased this product and when i got it home the bulbs didn't fit. Plastic parts on the side of the bulb didn't line up as shown on website pictures. Hence they didn't fit into my light fitment. Change your website pictures to be the actual item. Even the sales assistant when I returned them said this is a problem with various products. I wasted time and petrol exchanging! Rated 5 out of 5 by robjet from Good item Good item, price and can have it delivered. Rated 5 out of 5 by joesam27 from Great Value I bought these to replace lamps in the Church which had failed. I also bought the 2 pin model. All of the lamps worked just fine. Rated 5 out of 5 by joesam27 from Great lamps Purchased the lamps to replace ones that had failed. Normal maintenance activity.